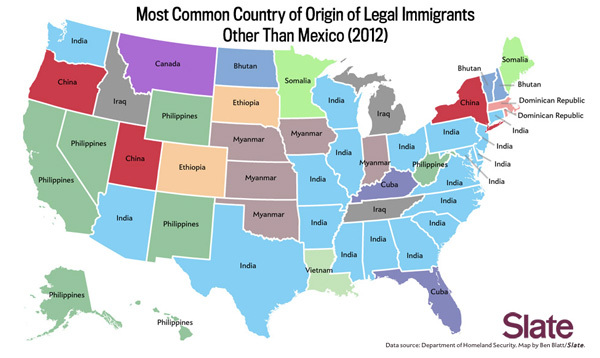 Where are most legal immigrants coming from? The research shows some interesting results. 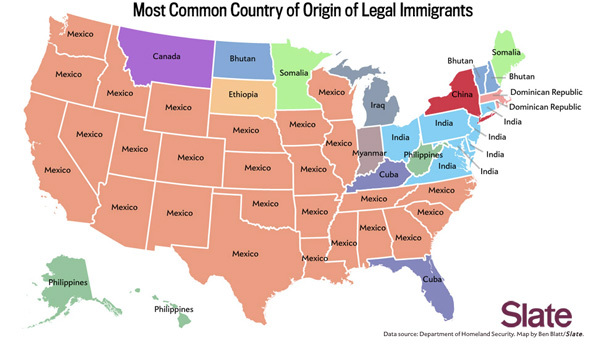 countries of origin of legal immigrants. When we compare the two maps, we can see why Spanish is spoken so prevalently (after English) across the country: many of our lawful permanent residents formerly resided in Mexico. 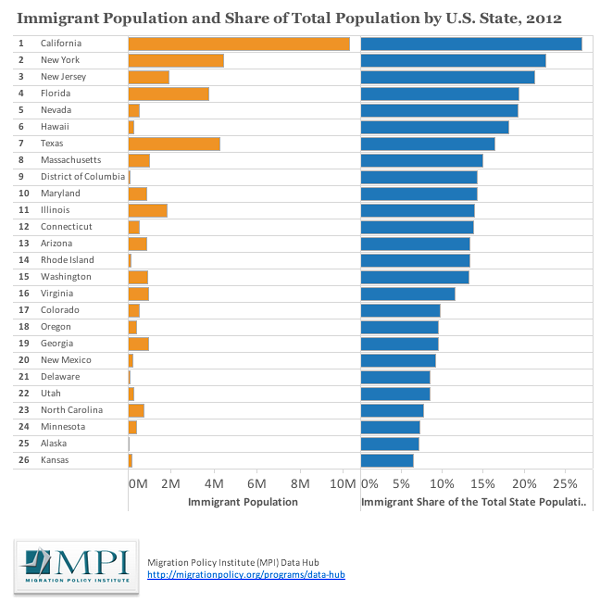 If we take Mexico out of the equation, we would see that many immigrants come from Asia: the Philippines, Myanmar, China, Vietnam, Bhutan, and India. This is probably not a fluke. Legal immigration from Asia has surpassed immigration from our neighbors to the south. Many Asians arrive in the United States as university students and then find pathways to remain in the United States long term. Wherever you may be from and whatever language you speak, if you are interested in learning about how you can make the United States your new permanent home, I invite you to contact me.